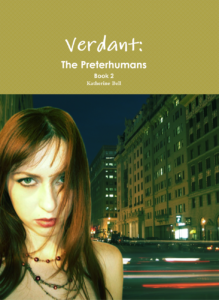 Summary: By day, Lizzy Drake is a college sophomore, and by night, she’s the unspoken second half of Murdock Investigations, the only private investigative agency in the Greater D.C. area run by Preterhumans, for Preterhumans. Currently, she’s the half of the team that doesn’t sling spells… or get paid. What started out as an assignment for university ethics is turning into a career where she could very well become the first half-vampire investigator in Washington… if she can just convince her boss to actually put her on the books. Summary: It’s been six months since Amaranth and the Dark Lander attack. Life in Washington, D.C., is starting to move on. 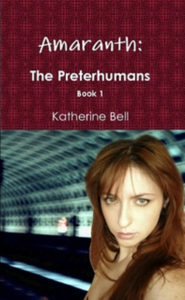 There’s even a bill floating around Congress to give Preterhumans rights equal to humans. It’s a good time to be a Preterhuman in the city if you ignore the attacks that are going on. Lizzy Drake, the half-vampire part of Murdock Investigations, the only private investigative agency in the Greater D.C. area run by Preterhumans for Preterhumans, is looking into who would dare attack a goddess. Of course, though, nothing is ever simple. The goddess she’s working for has given her a stipulation or two along the way: she has to find out who attacked Sif as soon as possible. Otherwise, there will be consequences.